The Space Coast Ski & Travel Club has arranged for a travel adventure to one of the top bucket list sites in the World—Ecuador and the Galapagos Islands. This will be a 11-day adventure with 2-days touring the Ecuadorian Capital of Quito plus a 7-night inclusive cruise on the 48-passenger Celebrity Xperience. The Cruise will travel the Northern Loop Islands of Balta Island, Santa Crus, Rabida, Santiago, Isabela, Fernandina, Genovesa, and Bartolome. Twice daily guided expeditions with naturalist staff will be made at the various island locations. 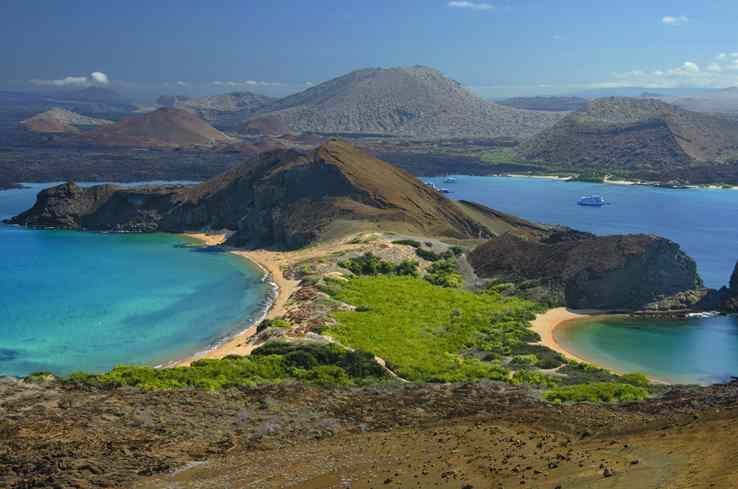 The Galapagos experts and naturalists will provide daily briefings on this unique environment. Complementary snorkeling gear, mini-wet suits and kayaks will be available. All meals are provided and adult beverages are included on the cruise portion of the trip. After we disembark the Xperience, we have one last night in Quito before traveling home. - Roundtrip international air is NOT included in the basic tour package. Celebrity Cruise Line can reserve your international air through their Choice Air Program once you are booked on the tour. - Any associated airline baggage fees are not included in the trip price. - Trip cancellation and trip delay insurance is not included in the package price. It is highly recommended that you consider your personal and family situation to determine if this added coverage is needed. Contact the trip leader for information on supplemental coverage. This is a limited space trip - SCSTC was only allowed to reserve 6 staterooms for a total of 12 travelers. With 4 or fewer staterooms booked, the Club’s price would increase by $450 per person. No Ecuador visa is required for a tourist stay of less than 90 days. $500 per person deposit will reserve your spot. No space is held without a deposit. Trip Cancellation Insurance is recommended to protect against these penalties. Please include your Celebrity Cruise Line Captain's Club or Royal Caribbean Crown & Anchor Numbers with your application to receive your loyalty program benefits.